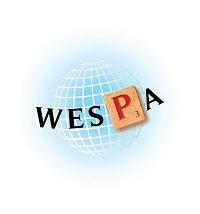 After a relatively quiet June, July was an extremely busy month when it came to news on the global Scrabble scene! We have news and updates from the seven tournaments that took place this past month. Starting in Singapore, and with an event that Nigel Richards has continually won over the years. This year’s Singapore Open, however, was not to be another title to be added to Nigel’s list as this year’s winner was Toh Weibin. Weibin won by two games and spread over Nigel, who had to be content with the runner-up title this year. Cheah Siu Hean and Hubert Wee filled the next two spots with Australian Karen Richards taking out 5th place. 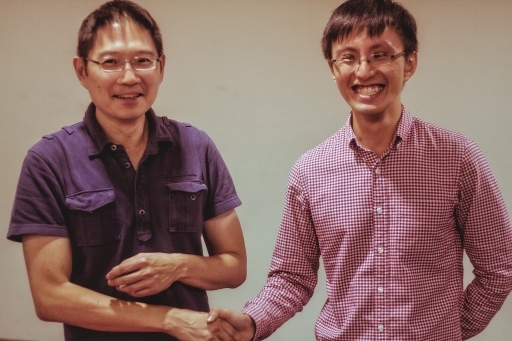 Karen’s 613 was the Highest game (it is notable that the 600 mark was broken numerous times through July) whilst Yeo Kian Hung’s VARLETTO was the highest word (scoring 163). In all, 8 countries (Singapore, Malaysia, New Zealand, Australia, UAE, India, Hong Kong and Thailand) took part in this tournament, marking the truly global nature of the circuit. A very appropriate starting place for this busy month of Scrabble! Supporting the belief that 8 was not enough, ten countries were represented in Thailand at the 32nd Brands tournament and, as always, the quality of Scrabble did not disappoint! After 29 games, Canada’s Adam Logan made it to the final to play Thailand’s Komol Panyasophonlert. To reach the final, Komol had this to do in Game 28 and Game 29. Thais filled five of the top 10 positions at this premier event, that was noted for being the first Brands tournament after the sad passing of Amnuay Ploysangngam. Nigel Richards finished 3rd. Other notable performances were Austin Shin’s 7th, Goutham Jayaraman’s 8th and Karen Richards’ midway finish. All three played multiple tournaments this month (Karen ended up playing four tournaments in four countries, in addition to running a training session prior to one of those!). The final was a best of three affair in Thailand, resulting in a close win to Komol. You can read a more full report of this event here. In India, Sherwin Rodrigues maintained his national number one rating by winning the Gail tournament in Delhi. His 18 wins +1503 won on spread from Goutham Jayaraman. Udayan Grover was 3rd with Douglas Lobo and Mohan Chunkath rounding out the top 5. 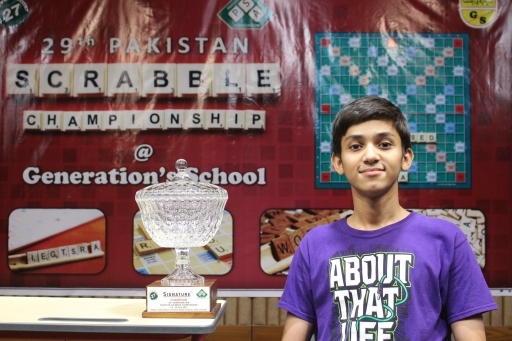 The 29th Pakistan Scrabble Championship brought with it exciting news about the future of the game in that country. The top two finishers being some of the youngest on the world circuit. Sohaib Sanaullah and Abdullah Abbasi finishing 1-2 with former World Youth Scrabble Champion Moiz Baig in 3rd! Defending champion, Waseem Khatri, finished 5th. Abbasi’s 663 the highest score in a tournament featuring 5 scores in excess of 600. To Hong Kong and the middle of July saw their Scrabble Challenge (which was featured here). Michael Tang won the Main Event from Hubert Wee and Tony Sim, whilst in the Extra tournament, Toh Weibin took the honours from local Brian Po and Japan’s John Ozag. 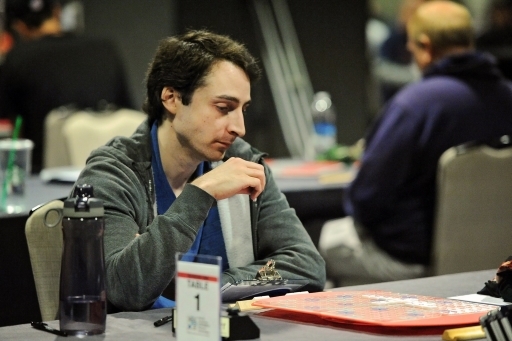 To end the month, Evan Cohen went through the Qadima tournament (in Israel) undefeated. Before that, all the news from the previous week was coming out of New Orleans, LA in the USA; this year, the host of the North American Scrabble Championship. Four Divisions of TWL and Two in Colllins, this event saw innovations in social media/online coverage to help complement all the traditional updates players were used to. The international focus was on the Collins Divisions, and this ended up with a win for another one of this month’s travelling players: the UK’s Austin Shin! In the Collins Division, Matthew O’Connor’s Round 11 score of 690 ended up the high game for the Division in a tournament that featured 9 scores over 600 in Collins 1. To end the month, the action continues with the BMSC, guaranteeing another great month of play in what has been an eventful year to date!